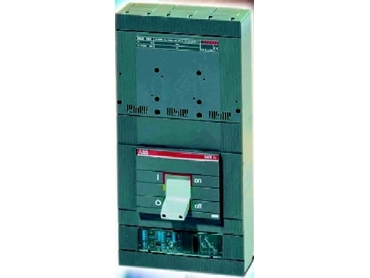 Within the Panorama of the ABB Moulded-case circuit breakers there is also the range for applications in direct and alternating current up to 1000V. Some products are also tested to 1150V. The typical sectors of use for these are mining, road and railway tunnel installations, electric traction and industrial applications in general. The circuit breakers are available in three pole and four pole version with TMD and TMA adjustable thermomagnetic releases for use in direct and alternating current, or in three pole version with electronic releases for applications in alternating current. The dimensions of these circuit breakers are the same as the standard range. They can, however be combined with all the accessories available.